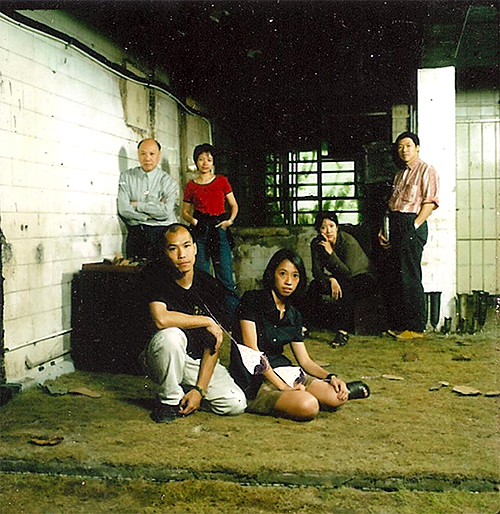 Founded in early 1996 as an artist run space, Para Site was Hong Kong’s first exhibition-making institution of contemporary art and a crucial self-organised structure within the city’s civil society, during the uncertain period preceding its handover to Mainland China. Throughout the years, Para Site has grown into a contemporary art centre, engaged in a wide array of activities and collaborations with other art institutions, museums, and academic structures in Hong Kong and the international landscape. In early 2015, Para Site moved to greatly increased premises, in North Point/Quarry Bay. Throughout its history, Para Site’s activities have included a range of different formats, among which P/S magazine (1997–2006), a bilingual publication, which was Hong Kong’s first visual arts magazine and a central platform for the development of art writing and of a discursive scene in the city and the Curatorial Training Programme (2007–2010). Since 2012, Para Site has been running an International Art Residency Programme and has been organizing an annual international conference. This is accompanied, starting from 2015, by a new educational format aimed at training young curators and other art professionals. Para Site’s activities are made possible by the generous support of its patrons, and grants from foundations and the Government of the HKSAR. Branding designed by Studio Manuel Raeder, Berlin.